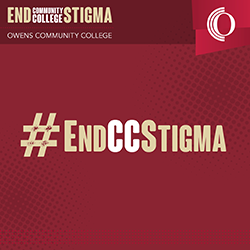 Counseling Services offers consultation, mental health assessment, counseling, crisis support, education, prevention, outreach, and linkage to community resources at no additional charge to Owens Community College students. Counseling Services provides assistance to students experiencing personal, educational, interpersonal/relationship, family, social, or psychological difficulties. If you have a concern about your safety or the safety of others, please contact the Department of Public Safety immediately at (567) 661-7575. View the Campus Notification and Action Protocol. All interactions with Counseling Services at Owens Community College, including scheduling of or attendance at appointments, content of your sessions, progress, and your records are confidential as determined by Federal and State Laws, as well as professional codes of ethics. No record of your involvement with Counseling Services is contained in any academic, educational, or job placement file. You may request in writing that the office staff release specific information about your services to persons you designate.